Two guys meet in the athletes area after IM 70.3 World Championships in Zell am See. 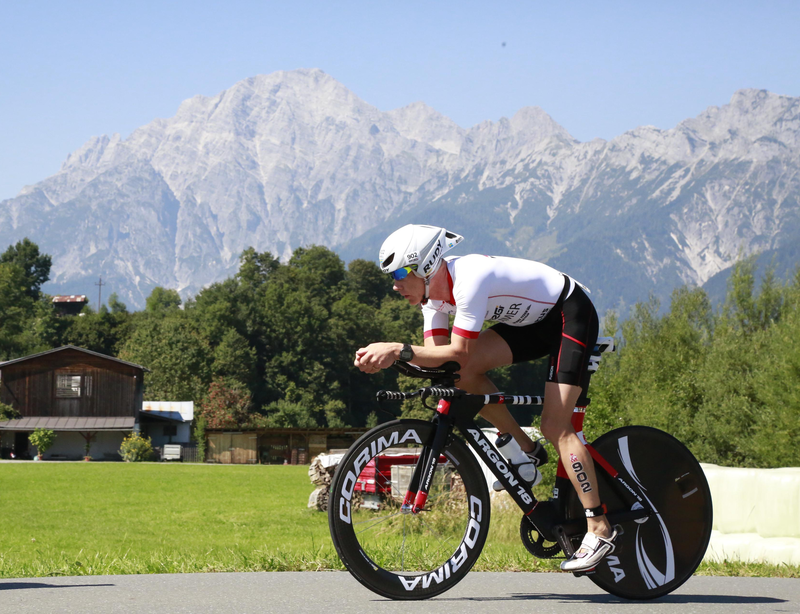 This is the conversation between two athletes who just finished the IM 70.3 WC in Zell am See. They end up sitting beside each other at the buffet in the athletes’ area and, as often happen, they start chatting about todays race. – Hi, how was your race? – Hi, great actually – really great. I finished 6th in my age group! I mean top 10 at the world champs sure is something to be proud of, especially on a day like this when the heat was a true challenge not to mention the bike course! – Oh, congrats. Cheers on you mate! (They serve non-alcoholic beer at the buffet). So – someone should be proud of you. – Yes for sure – I am 🙂 ! And I hope my family is as well. My wife told me I was the fastest athlete from the whole country today. So – to the 6th position I can ad another “fastest guy of the nation at the world championship” to my CV. – O boy – double congratulations then! – Thanks! How was your race? – Actually I’m quite disappointed. I can’t say I’m surprised since I’ve been having health issues the last week with fever and stomach pain, giving me a hard time to eat. And light taper week sessions was out of the question. So, not surprised, but disappointed. – But you did start then? – Yes I did. But already on the swim I felt weak and had a hard time deciding whether to continue or not. – Oh, too bad. So you had a DNF. today? – No, I took my time in T1, partially walking instead of the normal speedy run, and headed out for the bike. Even though I felt powerless at the bike as well, I managed to pull of a descent ride given the circumstances. I took my 32GI-gels, added caffein according to my plan and stayed tucked in aero position to get as much speed as possible out of the watts I was able to deliver today. – I guess the run wasn’t your fastest either then or? – No – that’s for sure. I don’t think I ever in my life have had such a weak performance on a 21 k run. It was a struggle. I mean, I didn’t have to fight to keep running really hard, which is usually the case, but I had to fight hard to keep running – at all. – So, with such a race experience I understand that you’re disappointed. How did you do compared to the others if I may ask? – Well, actually I also finished 6th in my age group. – Yepp – its truth and noting but the truth. Actually I also was the fastest guy from my country. – Ha ha – that’s amazing. I mean, of all the 2700 athletes we end up sitting here sharing our experiences from today’s race with the same results in numbers, but two completely different views in terms of satisfaction and disappointment! – Yea, it’s odd isn’t it? – What’s your age group? – What’s your finishing time?!? – Well, I’m not sure, 4.34 something I think. Didn’t care too much actually. – Your BIB? What’s your starting number? – No way! That’s mine! – 902, Brümmer from Sweden, that’s me! – Wow! That’s me too! – So you mean we’re the same guy sharing the same race from two completely different perspectives! – Seems so! A bit strange I must say, but at the same time I find it interesting and somehow very nice. I mean, I can allow my self to bee disappointed, and at the same time I can share your joy over the outcome of your race and go home with a nice blend of positive and negative feelings. – Why don’t you let go of the disappointment? – Actually I think it’s important to allow negative feelings when they occur and accept situations of disappointment. The opposite would be to deny my true feelings and that wouldn’t help in the long run. – But admit that it’s vital to see the bright side as well! – Definitely – we need both. It’s like a team with complementary skills adding up and making the sum larger than the separate parts. – Or like a marriage where two people work together through good times and harder times. – Yeah! We would make a great couple wouldn’t we :-)? – No offence, but I’m already happily married. – I know – I’m married to the same great woman as you might realize. – True – She’s great isn’t she. – So – what will be our next race? – Well, correct me if I’m wrong. But we have Ö till Ö, the SwimRun World Championships coming up on Monday. Remember David Svensson called us last week and asked if we were available – and I think we both agreed we were. – OK – I remember now – Let’s make that a great experience with the main objective set at having a long wonderful and positively painful day in the beautiful archipelago of Stockholm. 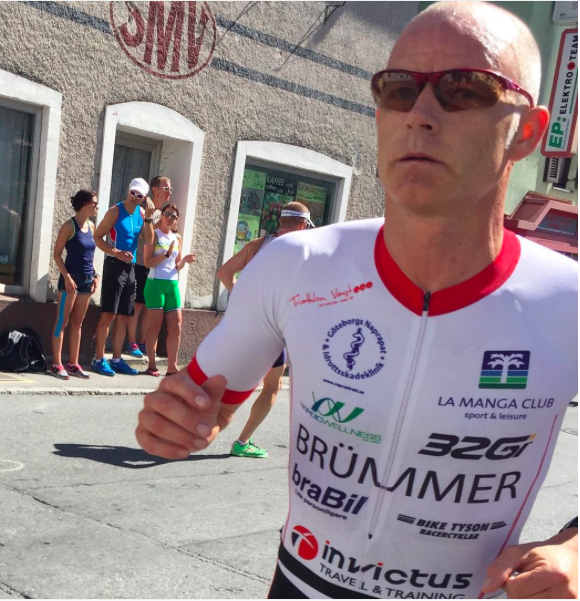 Det här inlägget postades i Uncategorized och har märkts med etiketterna 32GI, Argon18, BikeTyson, braBIl, Fusion, IM703WC, Invictustravel, ironman, LaMangaClub, Napraidrott, NordicWellness, triathlon, You.Just stronger. Bokmärk permalänken. 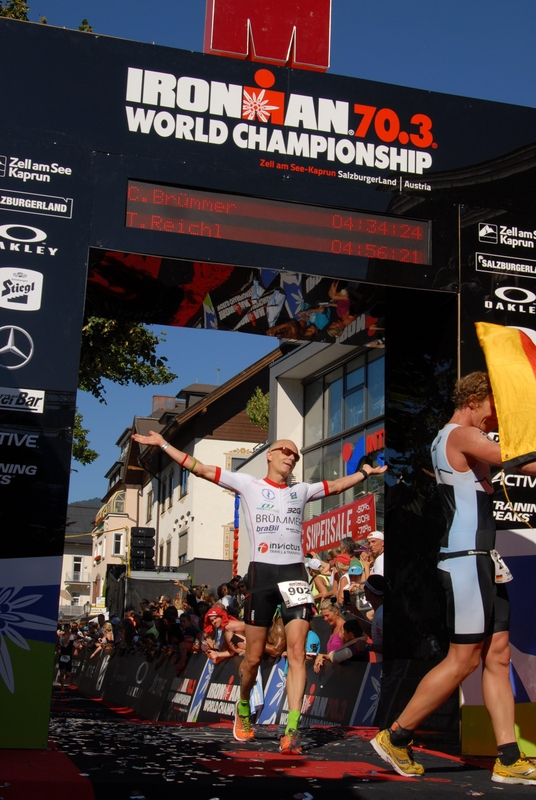 2 kommentarer till Two guys meet in the athletes area after IM 70.3 World Championships in Zell am See. Fantastisk läsning…. Inspirerande och mycket tänkvärt! Du är en sann inspiratör och förebild Carl. Tack för väldigt underhållande läsning 🙂 och bra kämpat! Stort lycka till på Ö till Ö.